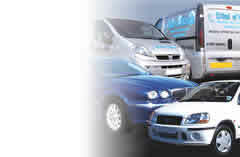 We look after your vehicles appearance at your convenience, from a small car to a large motorhome or boat. We offer a variety of services based around your vehicles needs, designed to make your life convenient. If you are at work all day or just too busy, we can come to your office. In these days where time is so short, why not have all of your vehicles looking their best when you want it. We are not limited to cars. We can valet your caravan, motorhome, boat or even helicopter. If you would like to have your fleet looking perfect, contact your nearest Dial a Wash location for a quotation here This is the premium valet service.